The owner of a new small business has many things to think about. Is there enough money in the bank? Where will the customers come from? And so on. One of the most important items a small business owner needs to address, especially a new one, is making sure that taxes are taken care of. Failure to comply with all the rules and regulations can be just as devastating as running out of money—and that may very well be the reason a business runs out of money. That’s why an experienced tax accountant can be a valuable asset for new business owners. First Time Filing Small Business Taxes in Nevada? Here are the tips we give small business owners on how to handle their tax matters, especially those who are filing small business taxes for the first time. As we are focused on the filing of business taxes in this article, it is important to be aware of the difference between filing and paying taxes. They are not the same thing, and one is far more important than the other. Filing taxes simply means filling out the correct form(s) and sending them, either by mail or electronically, by the required due date. Paying taxes means paying the taxes when required by the taxing agency in question and this does not always coincide with the required filing date of the return. Most taxing agencies a small business will face use the pay-as-you-go method which means that taxes must be paid on a series of dates during a tax period so that the taxing agency can maintain a flow of funds with which to operate. The tax return, on the other hand, is filed at the end of the appropriate tax period and summarizes the amount of the tax incurred and the amount paid throughout the period. Ideally, from the standpoint of the taxing agency, the taxes have already been paid by the time the tax return has been paid. The biggest mistake a small business, or any taxpayer for that matter, can make is not understanding which of these is more important. The penalty for failing to file a tax return is always more severe than the penalty for not paying the tax. As a result, the remainder of this article will focus on the filing of tax returns as it relates to a small business. 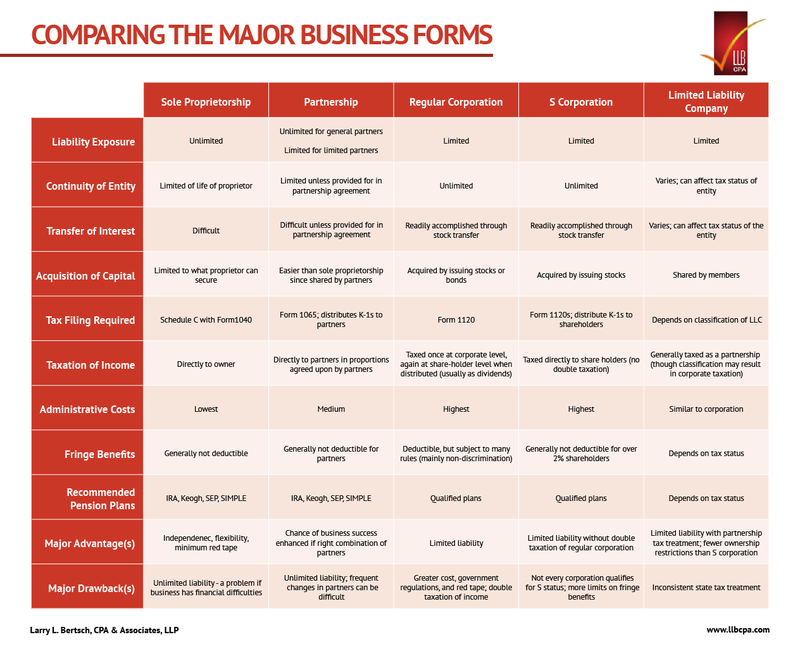 Each of these business forms provide certain benefits and drawbacks, both from a business standpoint and a tax standpoint (IMPORTANT: Never do anything just for business purposes or just for tax purposes—a properly run business considers both). Each business form also has its own tax filing date and extension periods (although there is some overlap). A competent professional such as a Certified Public Accountant or Enrolled Agent can help you determine the proper form of your business, the type of tax returns required and their due dates, and a good attorney can help with the paperwork involved in getting it set up. Again, this is probably the most important step a small business can take from a tax standpoint. Payroll taxes are particularly important for a small business to pay attention to. Any business that has employees, regardless of the form of the business, will be subject to payroll taxes and failure to understand and follow the rules can be devastating to a business. Federal Withholding. An employee tells an employer how much income tax to withhold by filling out a W-4 form and giving it to the employer. This is how an employee pays their income taxes. OASDI (Social Security). The employer is required to withhold from the employee’s pay 6.2% of the gross wages for social security. The employer is also required to match that amount (i.e. they also pay an additional 6.2% of the gross wages). Medicare. The employer is required to withhold and match 1.45% of the gross wages for Medicare. Federal Unemployment (FUTA). The employer is required to pay a percentage of gross wages (usually .8% of the first $7,000.00 in wages for each employee) to fund federal unemployment benefits. State Withholding. The same concept as federal withholding except for state income taxes an employee may owe. Not every state has an income tax, however. State Unemployment. Almost every state has their own version of the federal unemployment that must be paid by the employer. An important point about unemployment taxes, both at the state and federal level, that is missed by many is that this tax is paid solely by the employer and not by the employee. Many states and localities have other taxes that must be withheld but that is beyond the scope of this article. The important point to remember is that the business is responsible for collecting and paying all these taxes and then filing a timely return as was mentioned above. It is also important to remember that taxing agencies, especially the IRS, are very aggressive in making sure that payroll taxes are withheld, paid, and reported on a timely basis because they are held in trust by the employer and not their money. One of the worst thing a small business can do is to withhold these funds and not pay or file a return for them. The filing date for a tax return depends upon the type of tax and, in some cases, the type of entity as we have discussed above. In general, a small business files its income tax returns once a year (but remember the payments are normally required throughout the year). Payroll taxes are normally filed at the end of a quarter or annually depending on the type of tax and the jurisdiction (again, payments may be made monthly or even after each payroll). Most types of income tax returns allow for an extension of time to file beyond the required filing date. The most obvious one is the six-month extension (April 15 extended to October 15) for a Form 1040 which would affect a sole proprietor, but each entity has its own filing date and extension period. There are no extensions for payroll taxes. As mentioned above, the penalties of not filing a return or filing late are far more serious than not paying or paying late. Failure to file a tax return can result in a penalty of 5% of the tax not paid for each month or part of a month that the return is late up to a maximum of 25%. If fraud is involved the penalty is more severe. Failure to pay the tax (or paying late) can result in a penalty of 0.5% of the unpaid taxes for each month or part of a month that the tax remains unpaid up to a maximum of 25%. Again, fraud is more severe. Although the rates differ, state taxing agencies take the same approach. In addition to penalties, interest on unpaid amounts will accrue as well. If a business continues to not file returns or ignores notices from the taxing agency, even more serious consequences such as tax liens or levying of bank accounts may come into play. Tax returns are complicated and confusing. The instructions are often lengthy and unclear. If tax returns are filed but have been incorrectly prepared, this will draw the attention of the taxing agency as well. As a business owner, ask yourself if you are trained and understand the intricacies of all tax forms required. 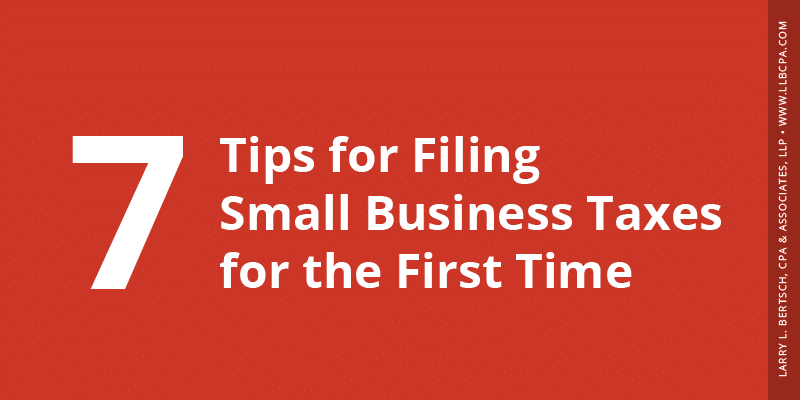 Hopefully, this article has impressed upon you how important it is, especially for a new business filing returns for the first time, to get the forms prepared correctly, pay the taxes when required, and file the returns on time. Many first time filers, and experienced ones too, find this a daunting task. Most successful businesses engage a professional to help them with these tasks. In the case of payroll taxes, a payroll service provider can be of enormous help. They can get your company’s payroll checks prepared correctly and on time and, most importantly, they can correctly calculate all the required taxes, collect the money from the business, remit the taxes on its behalf, and ensure that all required forms are filed on a timely basis. With respect to income taxes, a professional such as a Certified Public Accountant or Enrolled Agent is trained and experienced in making sure all the proper forms are prepared and filed on a timely basis. And in those situations where returns have not been filed on time, or at all, and the tax notices start coming in the mail, that professional can communicate with the IRS or other agency to resolve the situation in the best interests of the taxpayer. We’re happy to help business owners in Las Vegas.